It’s baaaack! 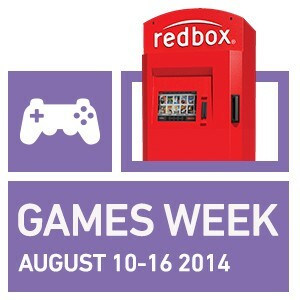 Redbox has brought back their popular promotion “Games Week”, where they offer free one-day video game rentals when customers reserve a game online August 10-16. * We frequent Redbox at least once a week and with a Birthday party sleepover this weekend that involves a bunch of teenage boys, you can bet I’ll be taking Redbox up on this promo! How does it work exactly? It’s super easy. 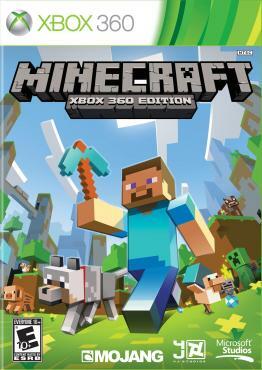 Redbox has popular game titles such as “Minecraft,” “Transformers: Rise of the Dark Spark” and “How to Train Your Dragon 2” available to rent for $2 a day. Not only can you rent these online, but they have a rent-and-return-anywhere® policy. I’ve been out and about many times with a Redbox movie in my car, have passed a box and returned it to a different place than where I rented it from. It’s so convenient and I love it! So, what are you waiting for? Reserve your video game online from Redbox today! Happy Games Week! *First rental day only. Online reservations only. Limit one discount per transaction, regardless of # of rentals. Only available for online reservations. Additional day charges apply. Can’t be combined with other offers. **When you text FIND to 727272, you’ll get up to 2 messages. Up to 2 msgs/wk. Msg & data rates may apply. Text STOP to cancel, HELP for help. By joining you agree to autodialed texts from Redbox. Opt-in not required to rent/buy from Redbox. Previous article“Remodo On the Road” Tour – First Stop Is Austin, Texas!